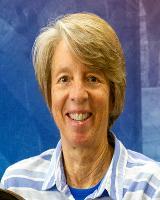 Cheryl Gehly became an AOBA Certified Fleece Judge in 2002. In addition to judging fleece shows, Cheryl has shared her knowledge with judges and apprentices as an AOA Certified Instructor at JTCC sponsored Judge Training Clinics, as well as being a Senior AOA Fleece Judge and an AOA Certified Fleece Judge Trainer. Cheryl has volunteered time with AOA by being a member and chairperson of the Judge Training and Certification Committee. Cheryl has been a member and chairperson of the AOA Judge Advisory Committee. She is also the fleece judge liaison to the Show Rules Committee. Cheryl teaches at breeder seminars around the country as well as judging multiple AOA Certified Fleece Shows annually.